Congratulations Reliance Jio Infocomm Limited Placed!!! 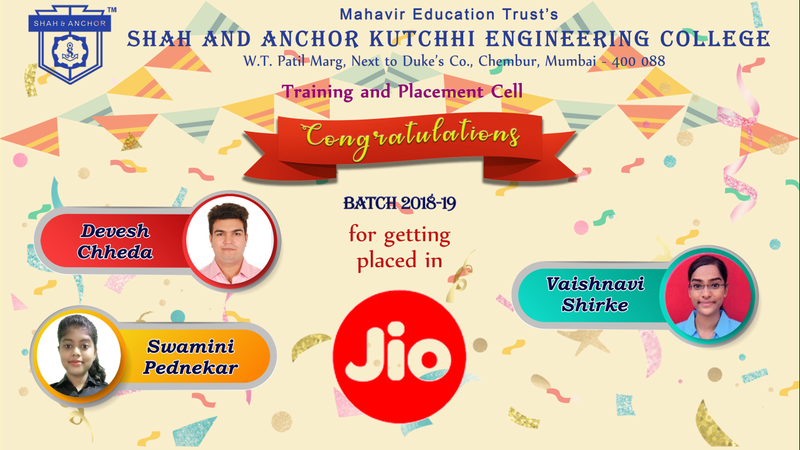 SAKEC Training and Placement Cell congratulates Reliance Jio Infocomm Limited placed student from Batch 2018 -2019. We wish them good career and growth in their work domain. Mahavir Education Trust Chowk, W. T. Patil Marg, Near Dukes Company, Chembur, Mumbai- 400 088. © Shah & Anchor Kutchhi Engineering College.